Range Rover Sport Autobiography is basically a tremendous SUV that practically everyone loves. If you take a look at any Range Rover Sport Autobiography 2014 review you will notice that just positives are mentioned and that is what you should expect here. 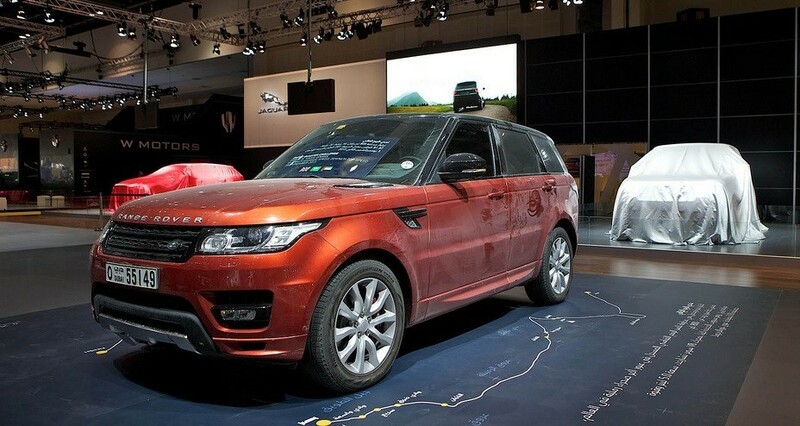 One thing that you will surely appreciate is the addition of the SDV8 engine to the Range Rover Sport line. That is because it has great torque and fits in perfectly with the SUV’s chassis. This is an engine that was modified and is now featured on the entire full size Range Rover line. The revised engine intake is instantly felt even when having automatic Terrain Response activated and faced with light throttles. While the engine is louder than with other Range Rovers, it is something that is to be expected. The Dynamic mode is really easy to engage and will offer more steering weight, mostly felt when the wheels move off centre. The gearbox and throttle gain a more aggressive response and the engine ends up performing in a different, more dynamic way. Even when faced with wet conditions, the response will be great and you will most likely appreciate the Brembo brakes included. They are very good and offer a progressive pedal feeling even when you have been driving for a long time. Air suspension features a firmer setup, which basically helps you feel better while driving off road. It is different than with the regular Rover and the entire body control that you gain is impressive because of the overall stiffer SUV design. The overall stiffer setup automatically means that turn-in is a lot shaper than what you expect. The dynamism level is quite similar to that of the Porsche Cayenne, which is an achievement in the SUV market. Dynamic mode will offer an interesting rear wheel drive feeling, which is great when you accelerate through a tighter bend. Range Rover Sport Autobiography includes an 8 speed ZF gearbox. It is a very good fit for the engine and will make shifting smooth and quick. Power passage interruption is barely noticeable and the manual shifting is swift. The only problem is that when you opt for steering paddles (wheel mounted), you will not like the overall quality as they are made out of really thin plastic. This is the section that most people are interested in since the SUV design is definitely flawless. However, we do recommend taking the car out for a spin before buying it since you might not enjoy something. That is always possible and we all know that buying an SUV is subjective.